Mark your calendars! 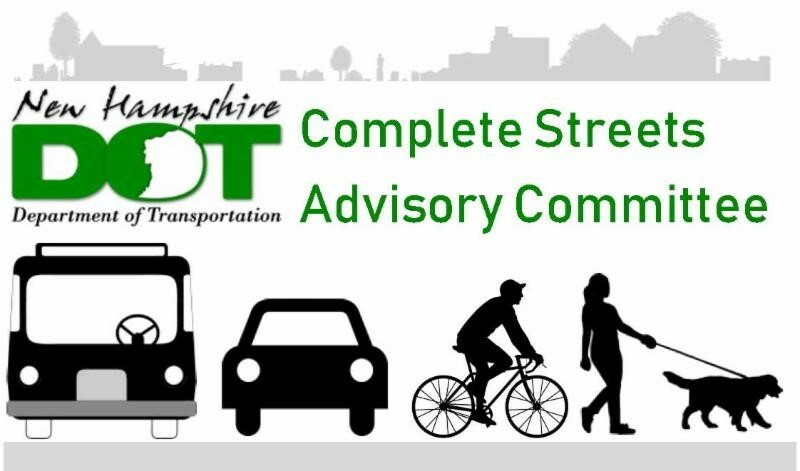 The New Hampshire 2018 Complete Streets Conference will be held on Friday, October 19th from 8:00 a.m. to 3:30 p.m. at the New Hampshire Department of Environmental Services Auditorium (29 Hazen Drive in Concord, NH). More information to follow! Interested in sponsoring or presenting? Contact Craig Tufts for more information at ctufts@cnhrpc.org.